According to DSWD Sec. 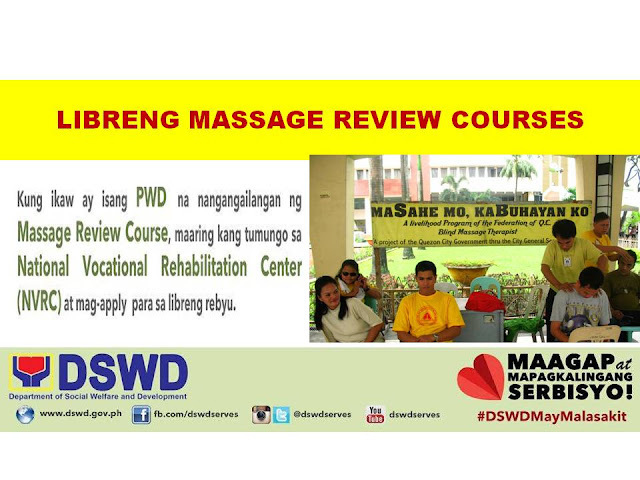 Judy Taguiwalo, those persons with disabilities can benefit from the FREE Massage Review Course offered by DSWD through National Vocational Rehabilitation Center or NVRC. 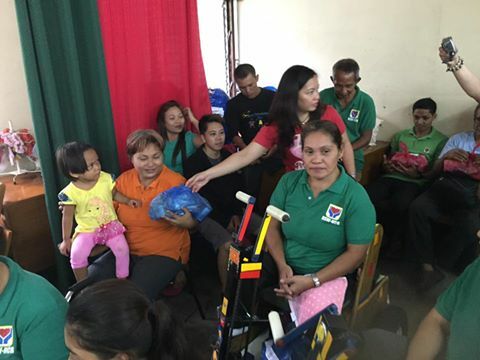 The NVRC helps persons with disabilities by training and helping them acquire new skills that could help them become a more productive member of the society. There are many persons with disabilities in the Philippines who are choosing to learn skills in massage therapy just like Mr. Dante Tioson. He learned his skills through the National Vocational and Rehabilitation Center and through the help of other disabled individuals who have the skills in massage therapy he was able to start a massage center. 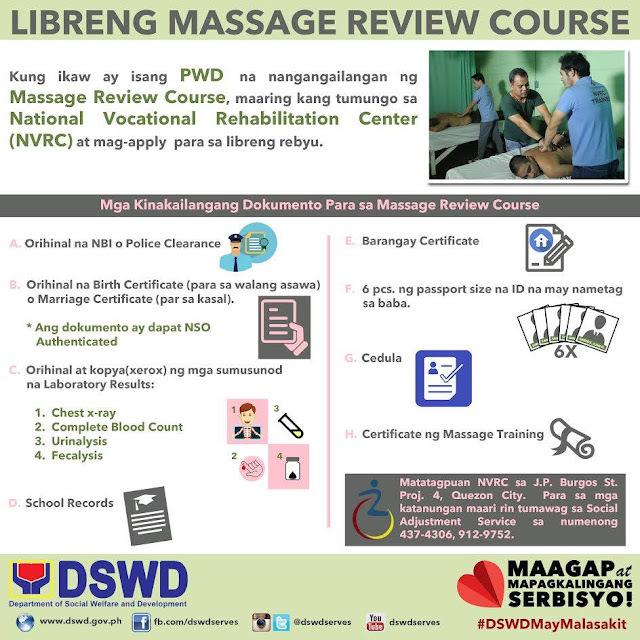 HOW TO AVAIL FREE MASSAGE REVIEW COURSE? 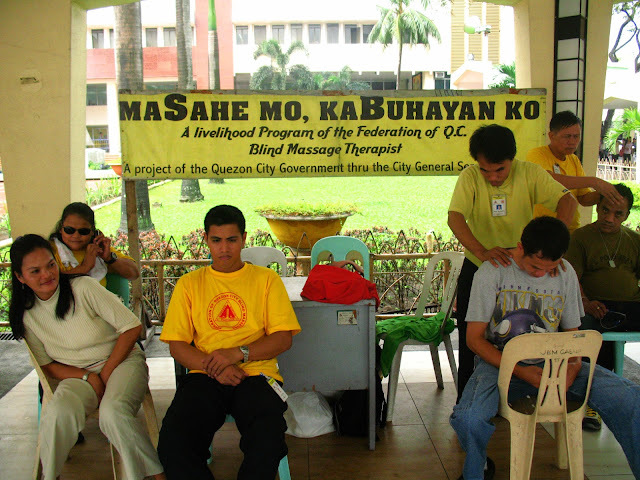 The National Vocational Rehabilitation Center Nvrc offers health related services and is located in Metro Manila, Philippines.